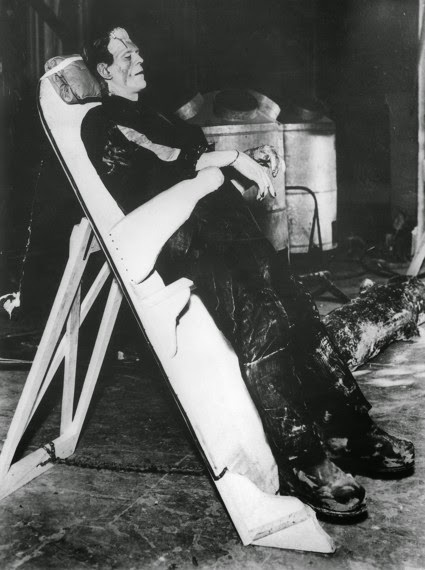 Boris Karloff takes a little rest on the set of "Bride of Frankenstein". 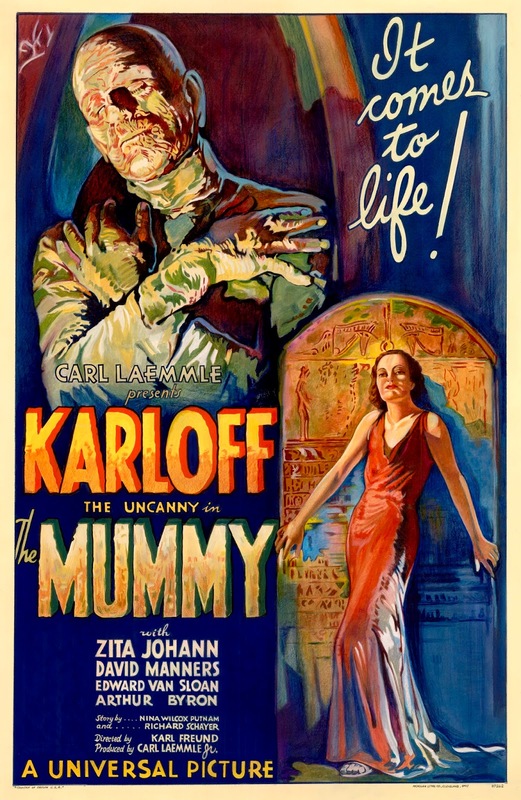 Keep Your Hands Above Your Head! 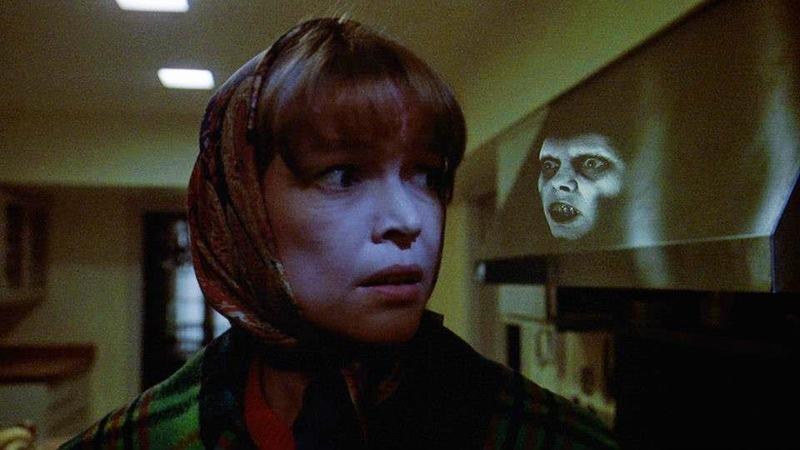 The demonic entity shows its face, unbeknownst to Chris MacNeil (Ellen Burstyn), in "The Exorcist". 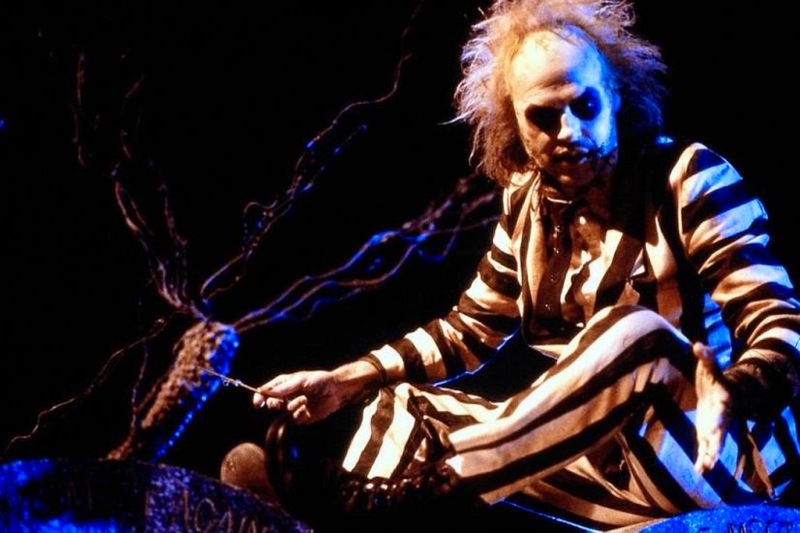 Oh To Be That Lucky Little Boy! 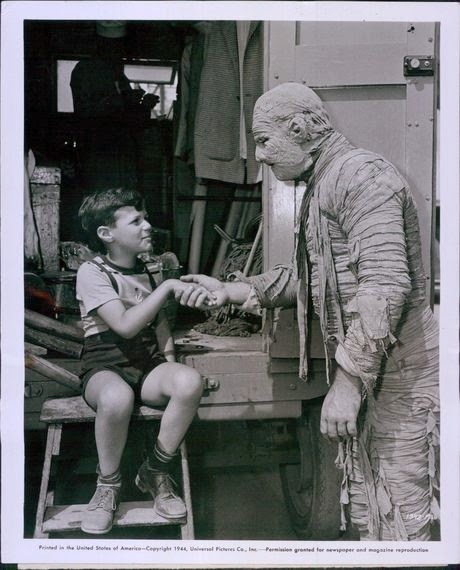 Lon Chaney, Jr. greets a vistor to the set of "The Mummy's Ghost". 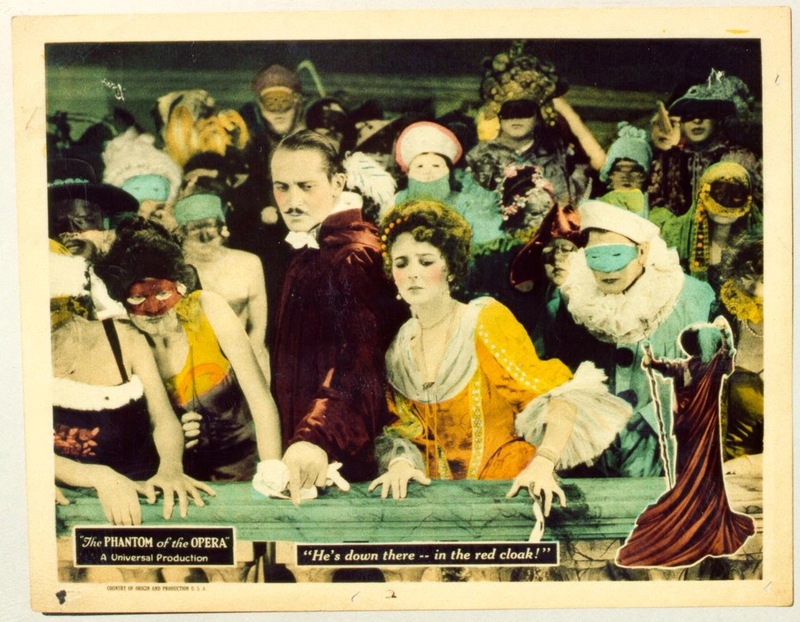 Here's another incredible lobby card for "The Phantom of the Opera". Two Rick Bakers and a Werewolf! 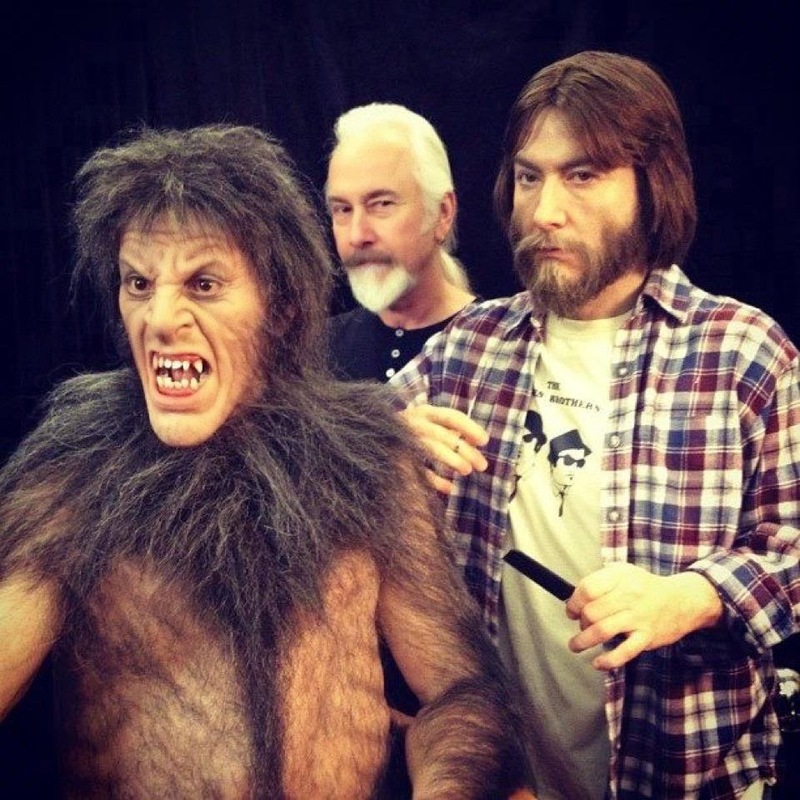 Rick Baker poses with his life-size younger counterpart as he makes up David Naughton for "An American Werewolf in London". 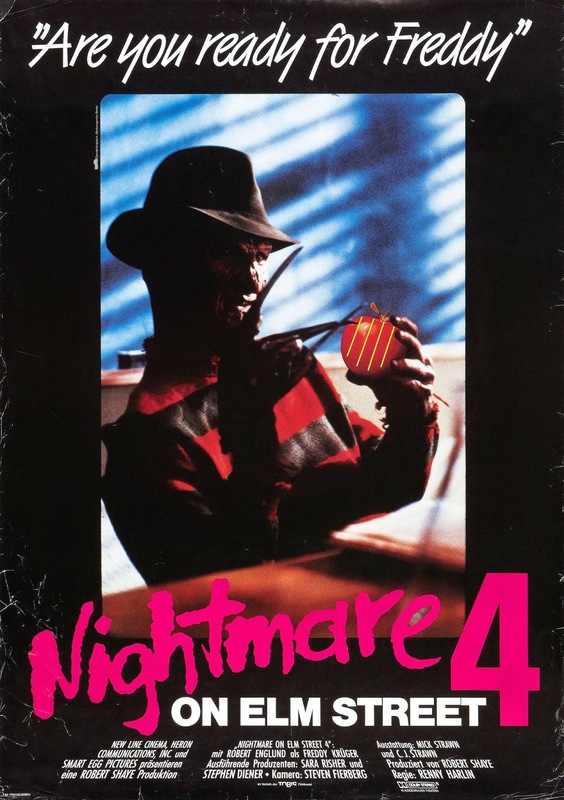 Created by Mike Hill. 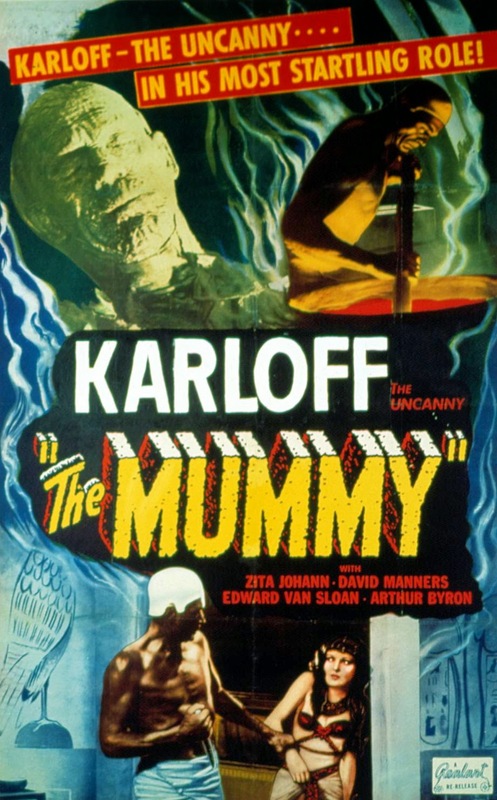 Monster Movie Posters: "The Masque of the Red Death"
Monster Movie Posters: "A Nightmare on Elm Street 4"
This time, the "Seein' Stars" article features Lon Chaney, Jr. as the Wolf Man from "Abbott and Costello Meet Frankenstein"! 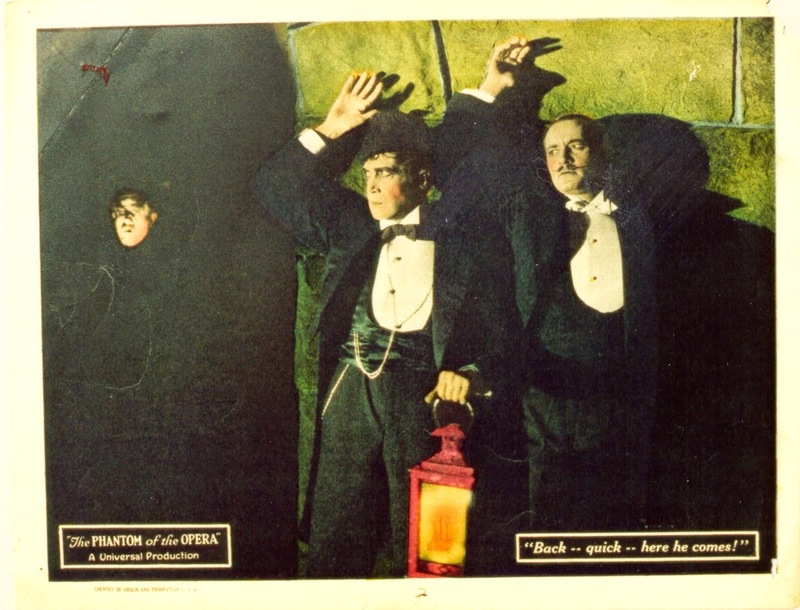 He's Down There... 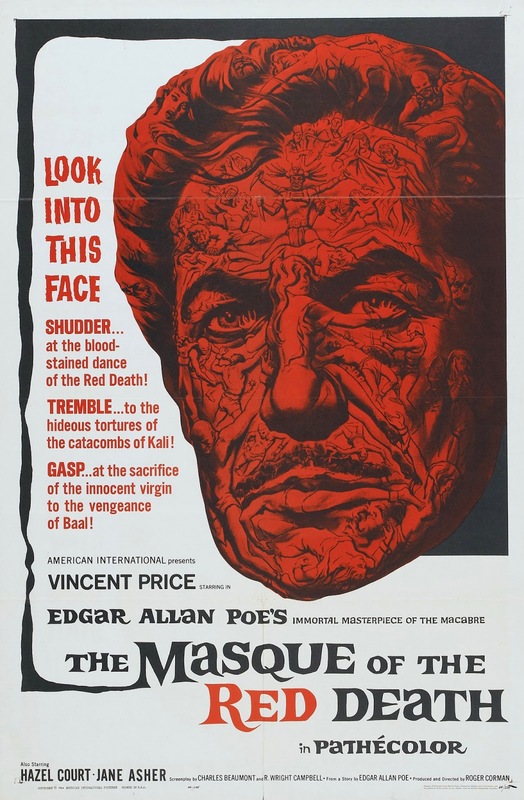 In the Red Cloak! 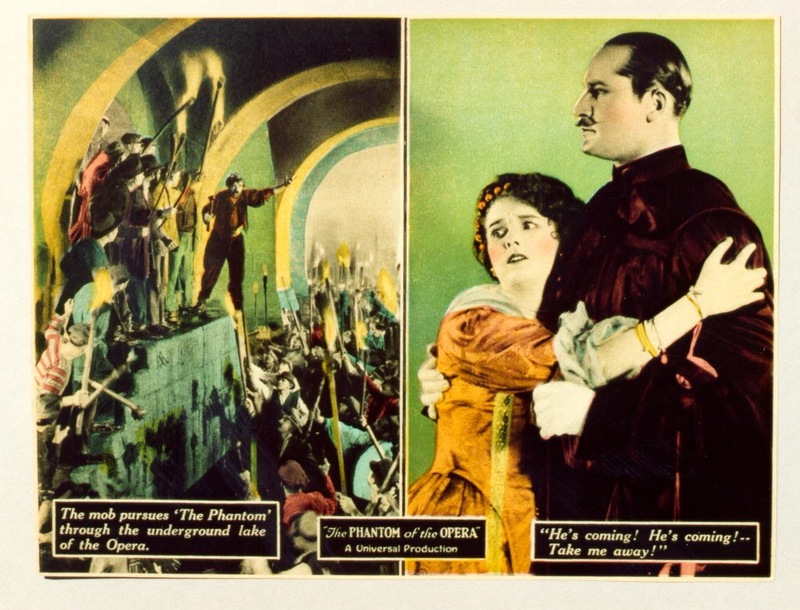 A great old advertisement for "The Phantom of the Opera". 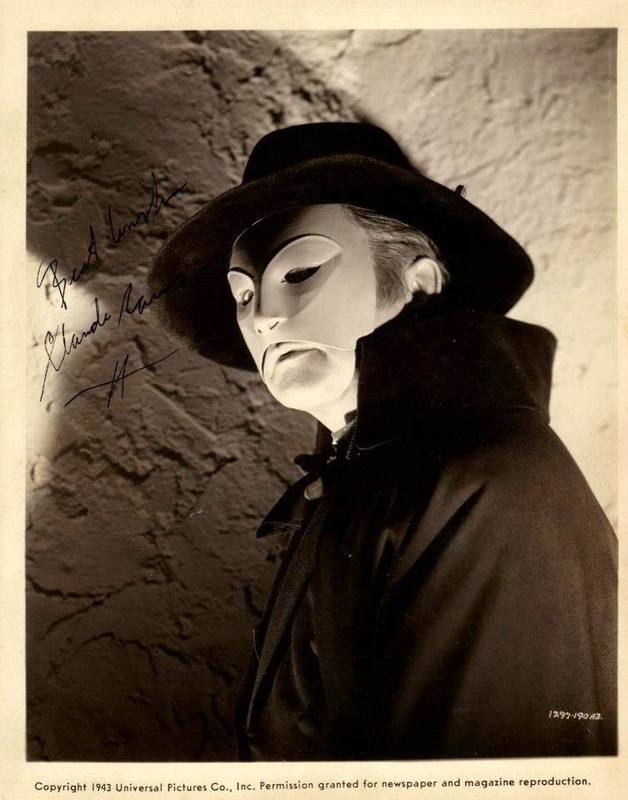 It's Claude Rains as the Phantom of the Opera! 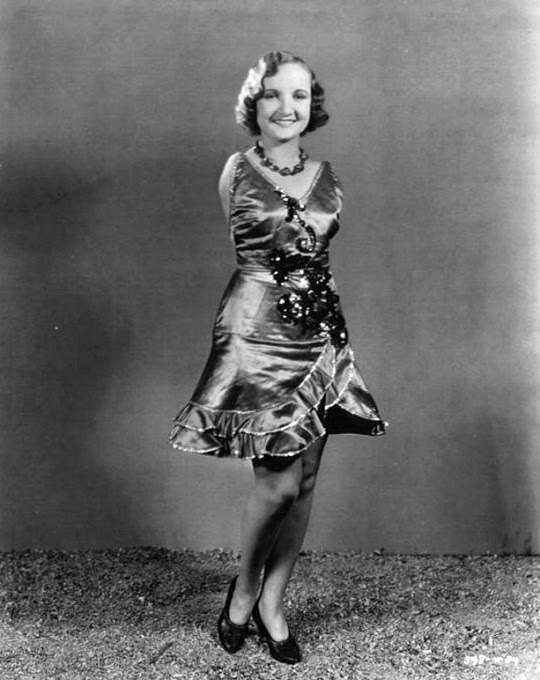 Here's another one of the stars of Tod Browning's "Freaks". 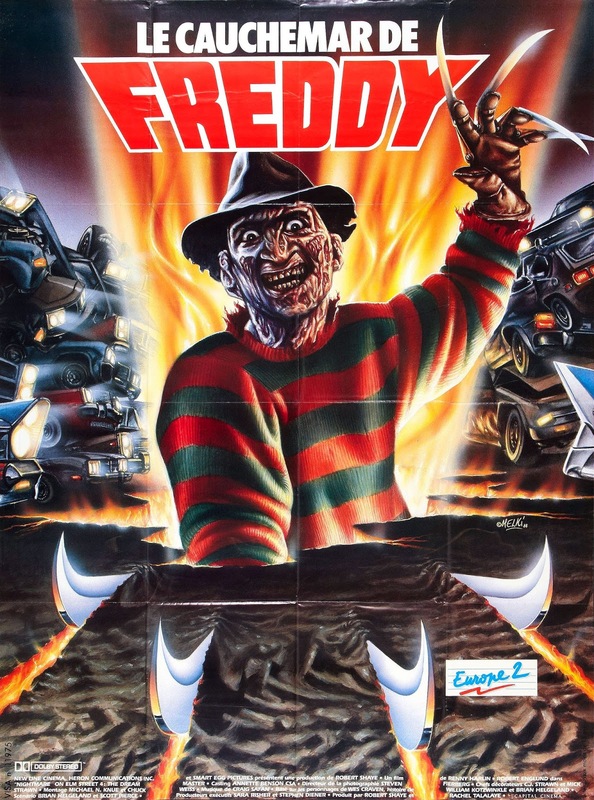 It might be Freddy Krueger! 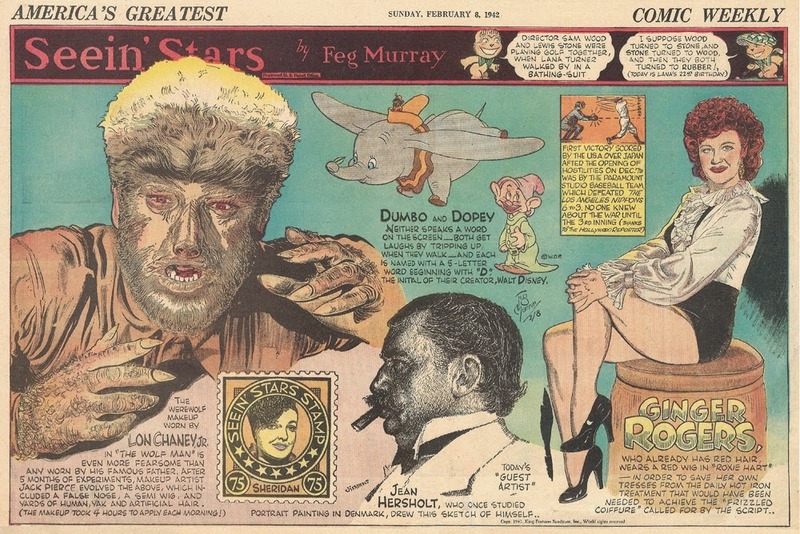 Seein' Stars: "The Wolf Man"
This great advertisement is promoting Universal's new release of "The Wolf Man" along with some other famous characters! 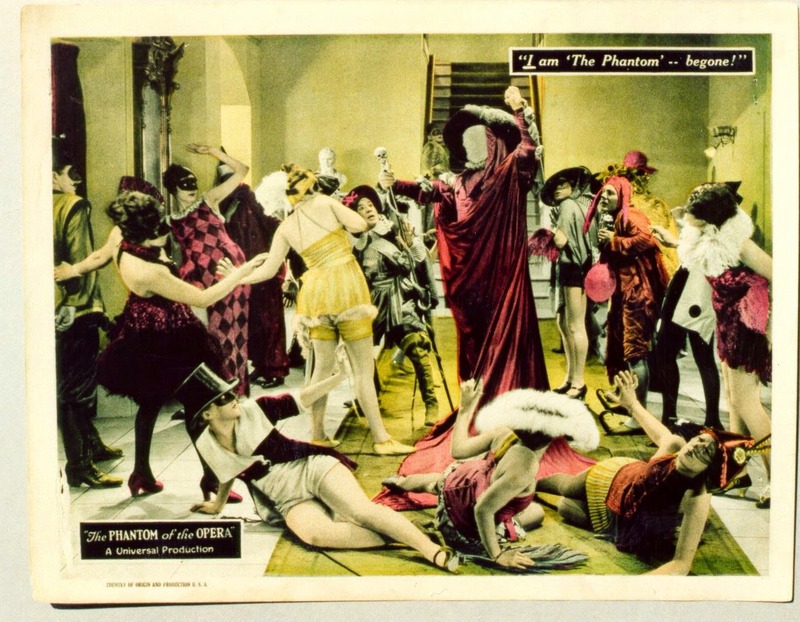 Here's a great old advertisement, which I believe is a lobby card, from Universal's 1925 version of "The Phantom of the Opera". 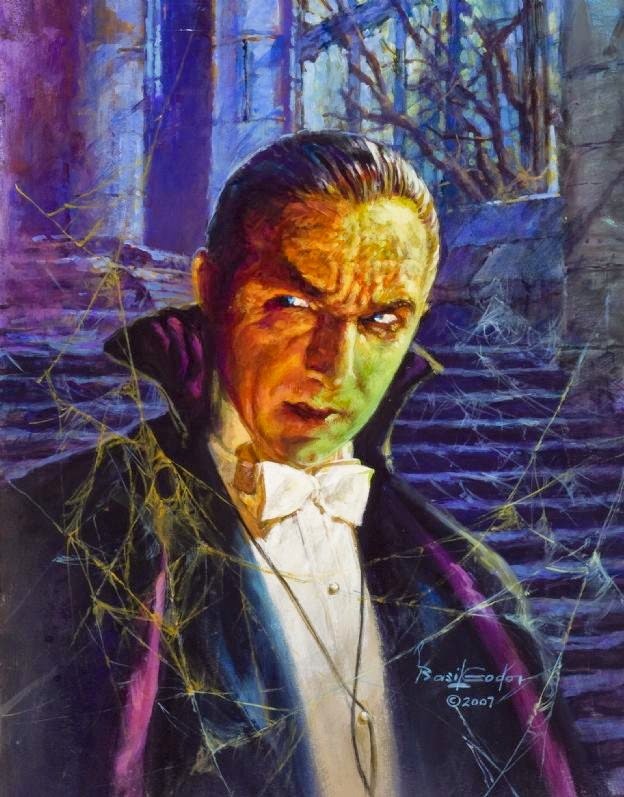 Here's another beautiful painting by Basil Gogos. 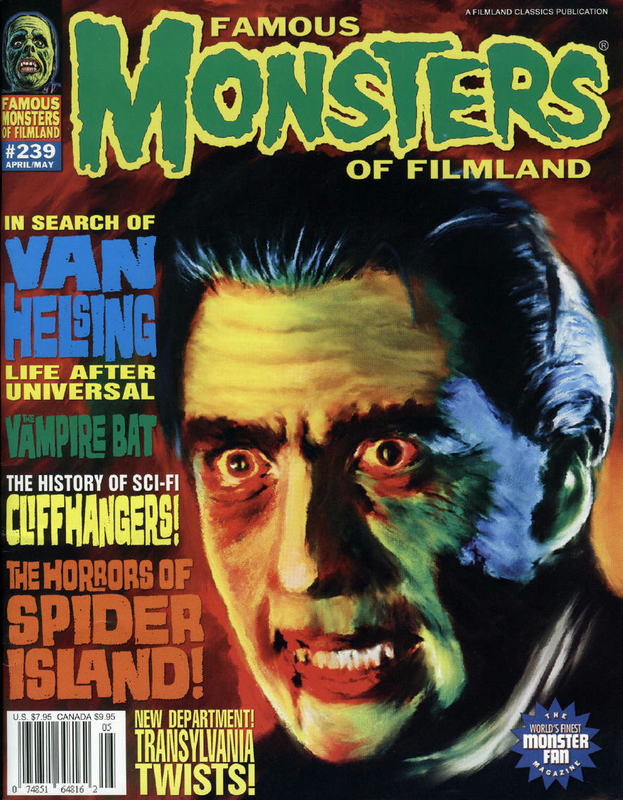 It's Bela Lugosi as Count Dracula! 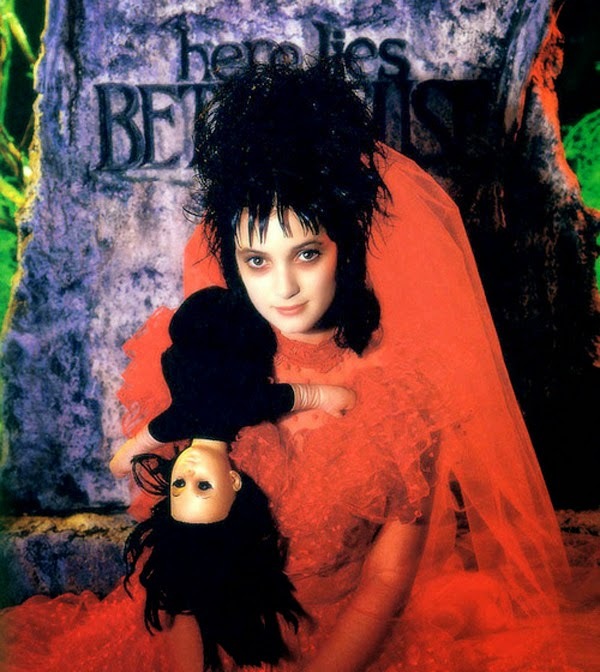 Here's Winona Ryder as Lydia from "Beetlejuice". 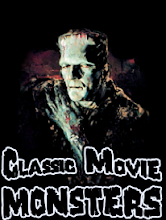 The Triumphant Climax of Frankenstein's Genius! 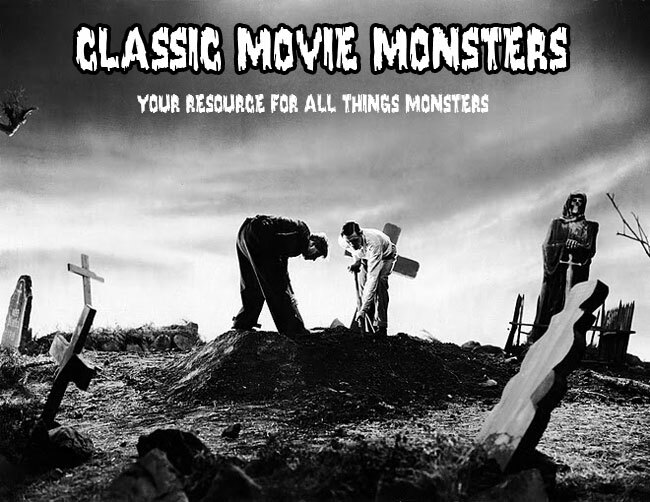 Steven Spielberg has brought us so many great films of Horror, Fantasy, and Science Fiction. 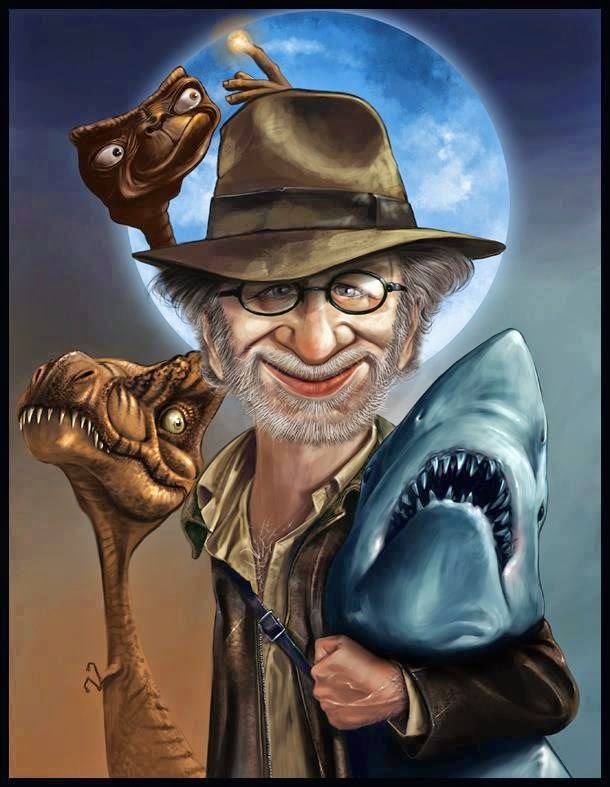 Here is a great caricature painting of him with some of his friends. If someone knows who the artist is, please leave their name in the comments section. 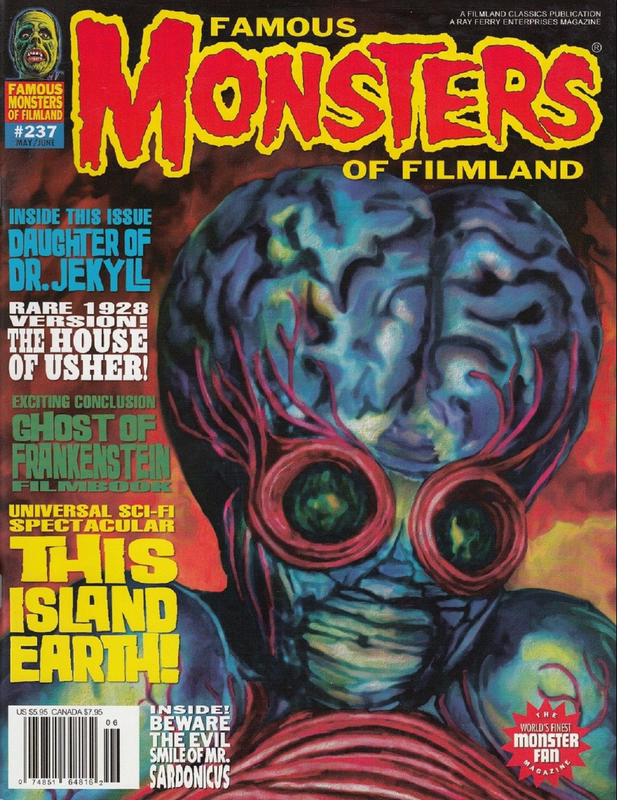 Here's another piece of art created for the 1974 Knott's Berry Farm Halloween Haunt. 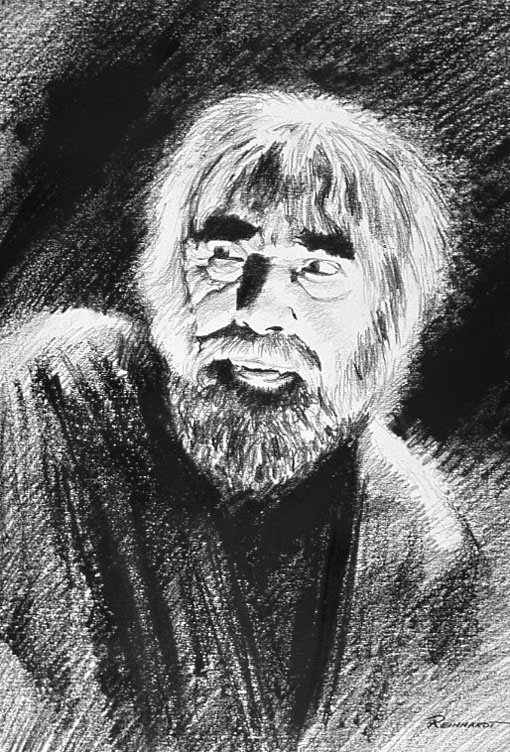 This time we have Bela Lugosi as Ygor from "Son of Frankenstein". 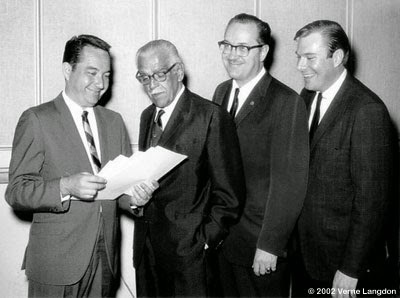 From left to right, we have Milt Larsen, Boris Karloff, Forrest J Ackerman, and Verne Langdon. 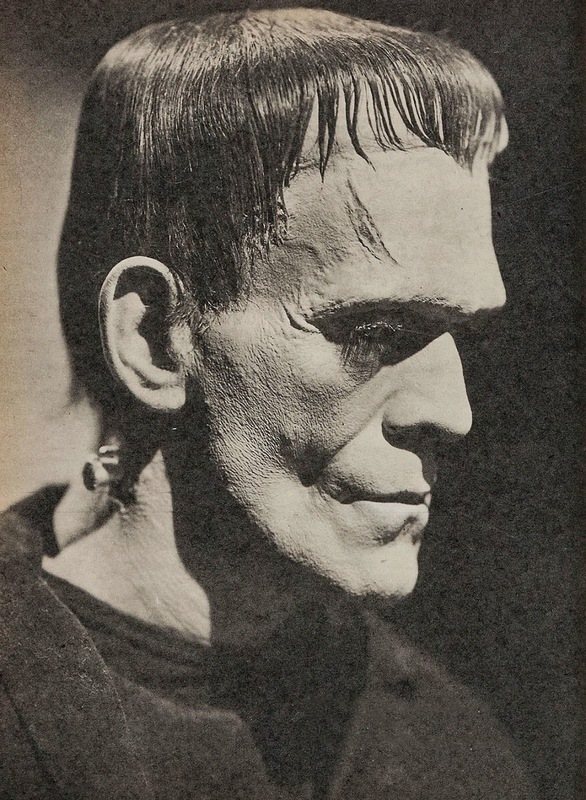 They are all preparing for the recording of the album: "An Evening with Boris Karloff and His Friends". 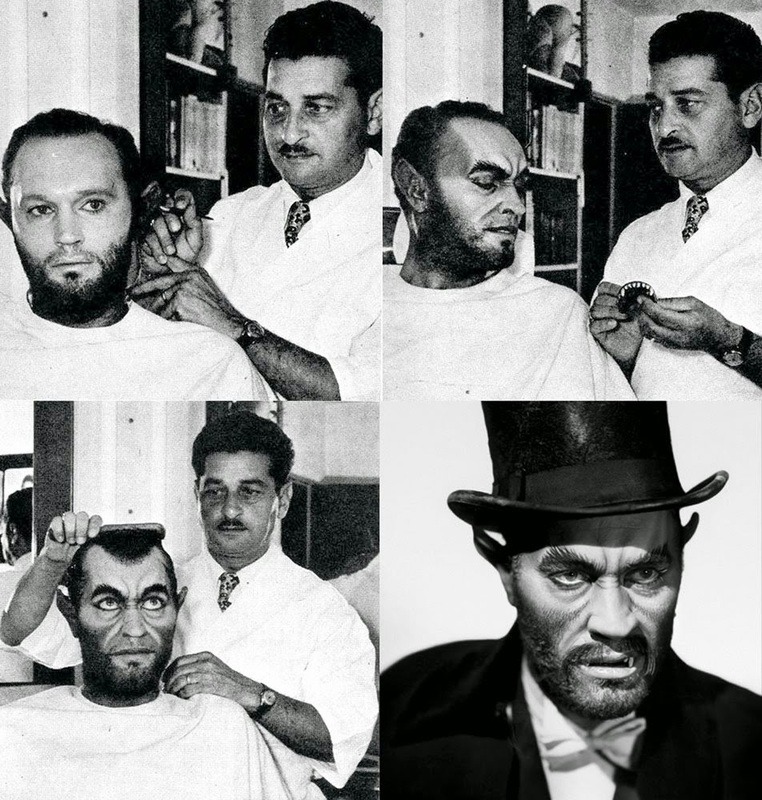 Here's some great behind the scenes shots of the make-up process from "The Catman of Paris"! 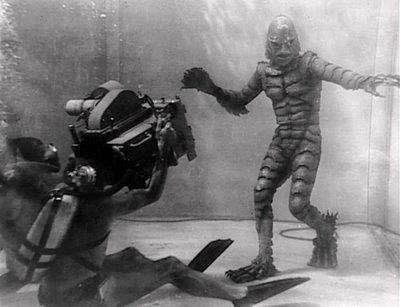 Here we see how they filmed some of the under water scenes in "Creature From the Black Lagoon". 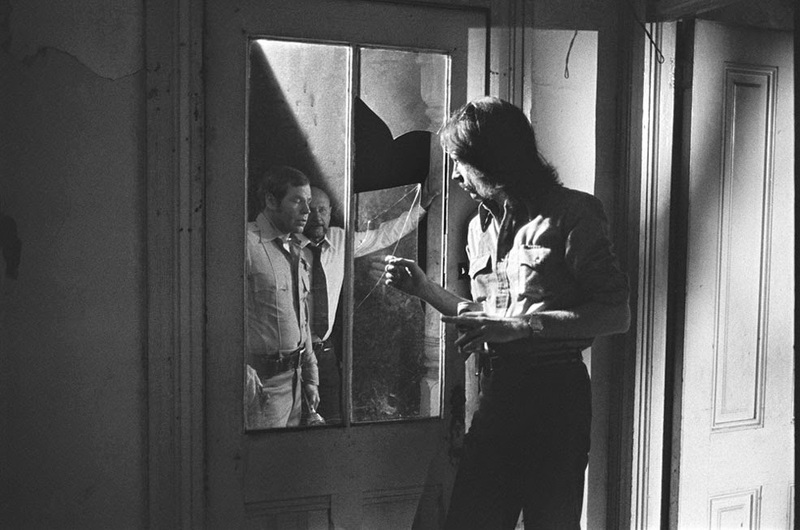 John Carpenter with Charles Cyphers and Donald Pleasence on the set of "Halloween". 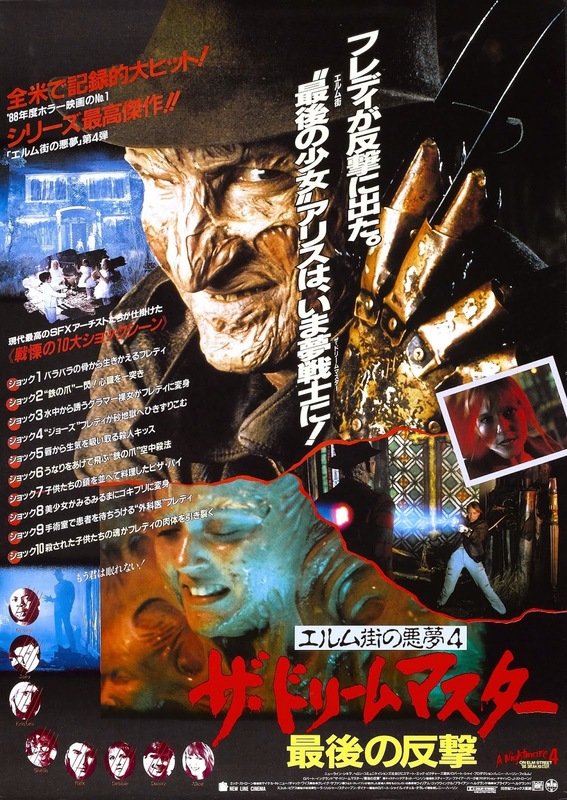 A great publicity shot from "Psycho III". 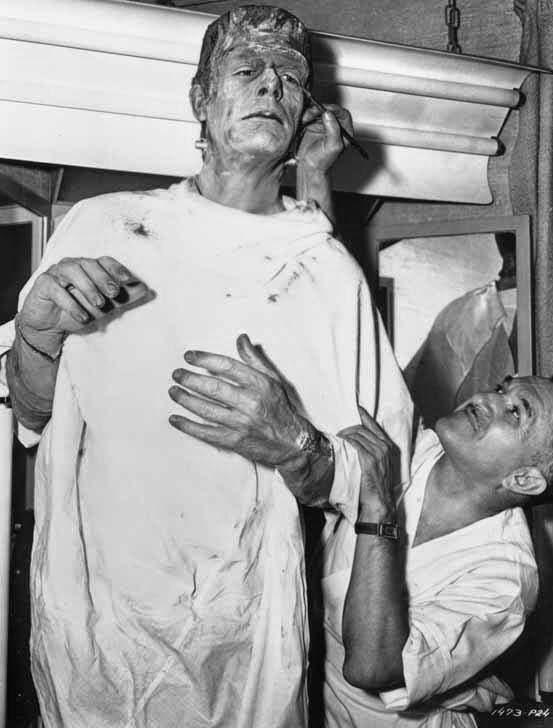 Jack Pierce makes up Glenn Strange as the Frankenstein Monster in "House of Dracula". 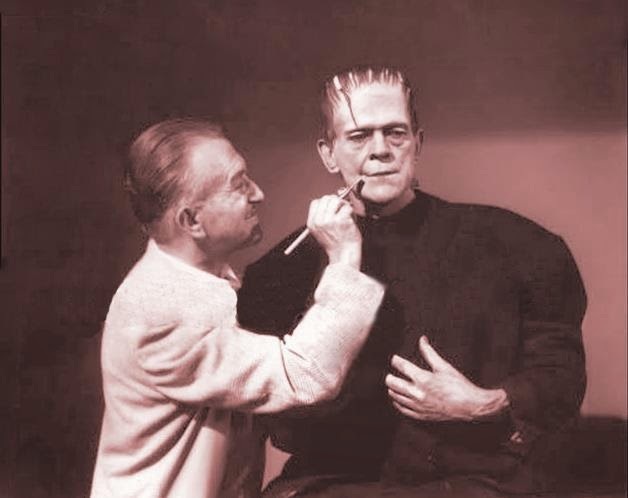 This was the final time Jack Pierce made up Boris Karloff as the Frankenstein Monster. It was for an unused scene in "The Secret Life of Walter Mitty". 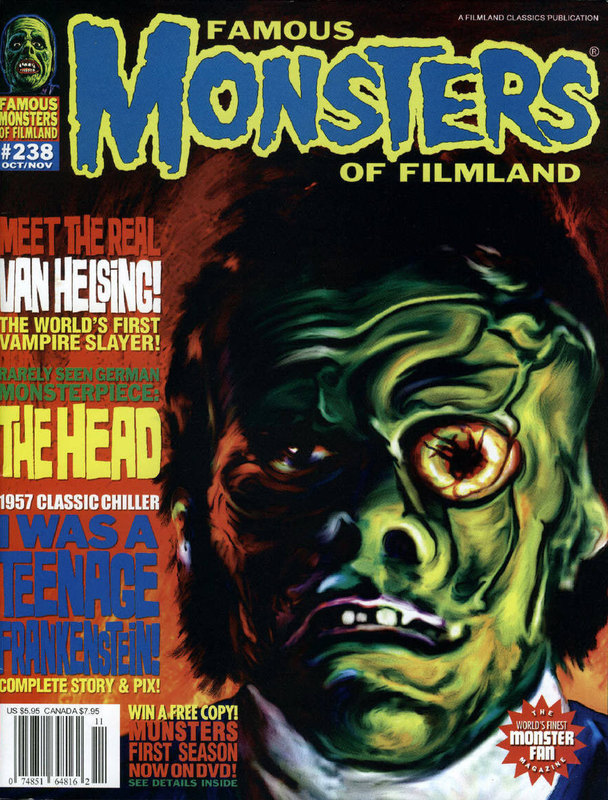 Is She Man or Woman?